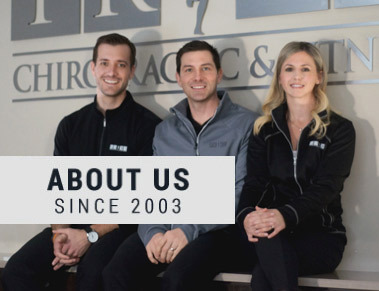 Established in 2003, the Price Chiropractic & Fitness team of professionals has been helping thousands of people to improve their lives through health & fitness! Conveniently located in the heart of Waterloo, our beautiful, modern facility offers exceptional care & service. The Price Team is proud of their unique, multidisciplinary approach to care—we offer Physiotherapy, Chiropractic, Massage & Fitness all in one place. At Price we want you to feel at home while receiving the best care available. We will design a customized treatment plan for YOU based on YOUR health goals. Our purpose is to inspire our community to move, feel & be their best, while providing education that can last a lifetime. In January 2017 we launched PRICE GIVES BACK. This community initiative was designed to support and positively impact the community outside of our clinic walls. Donating $1 for every treatment gives us the ability to not only volunteer our time but to financially contribute to building a stronger community. Trust – We are committed to providing a place where people feel comfortable, safe and confident in our care. Growth & Development – We commit to grow as people, practitioners and as a community through enhancement of our skills and knowledge. Caring- We genuinely care and show concern for every person. Integrity – Our actions are consistent with high moral, ethical principles and professionalism. Positivity – We strive to make everyday a great one! Teamwork – We deliver outstanding care and service in a dynamic team environment. Contact Us Today Discover how our unique, multidisciplinary approach to your health can benefit you! Contact us today to get started!